Narrowing the mentorship gap that students experience during Science Fair with services & resources. Science Fair Fun is on a mission to narrow the mentorship gap that K-12 students experience during Science Fair, particularly students of STEM under-represented groups. 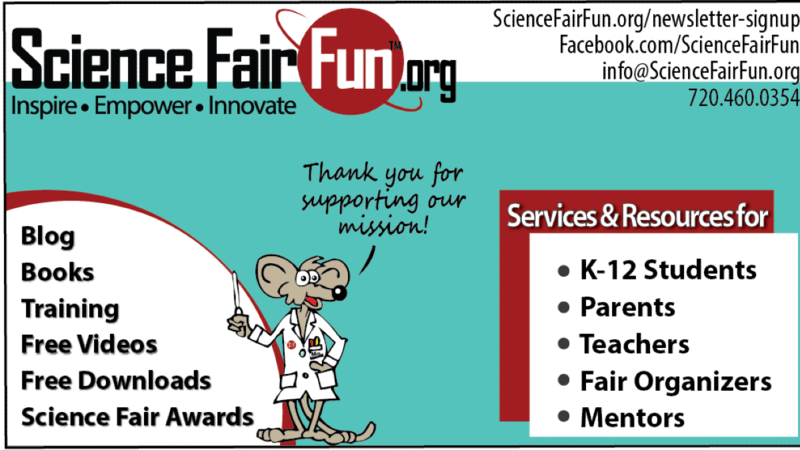 We provide leading edge services and resources that inspire and empower kids and their grownups to have fun and innovative Science & Engineering Fair experiences. We help students develop creativity, critical thinking, communication & teamwork skills and NGSS Science & Engineering Practices through Science & Engineering Fairs.